1) It is designed for knit/ stretch fabrics and even upsized for D cups in the larger sizes, so chances are you won’t need to do an FBA unless your fabric doesn’t have enough horizontal stretch. I got this floral ITY knit from a local store (Didier’s) and chose to make a size 18, based on the finished garment measurements. According to the pattern size chart though, I really should have made a 14, but I was concerned about the fabric’s stretch, so I ended up needing to decrease the side seams by half inch to really get a snug fit. I will be trying the size 14 next time, so I’ll figure out if an FBA is needed then. 2) POCKETS. Yup, Kennis added pockets to a half circle skirt and now I want to add them in every half circle skirt pattern I have. The pattern is drafted so beautifully that the pockets are the right size, shape, and length to be barely noticeable, even with my phone in there. You can see from the insides that the pocket is about half the length of the skirt and I think this is what makes it brilliant design. 3) The gathered bust detail and the V-neck are an instant upgrade to a simple design. 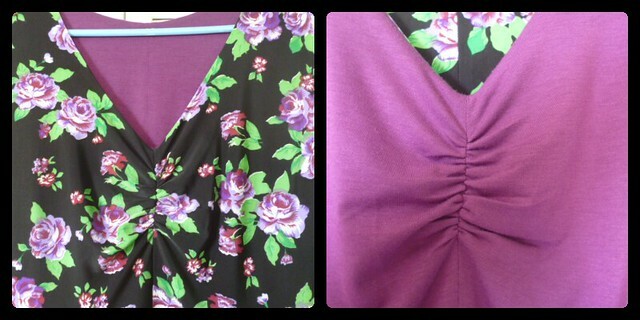 With the bodice being lined, hiding all the seams, the dress instantly looks fancy too! My fabric pattern is very busy so it’s a lot easier to see the gathering on the lining pieces. 4) There are 5 sleeve options! I only did sleeveless for the test, but I have fabric lined up for a either a medium short sleeve or 3/4 sleeve (actually, there’s enough fabric for both but who’s counting). 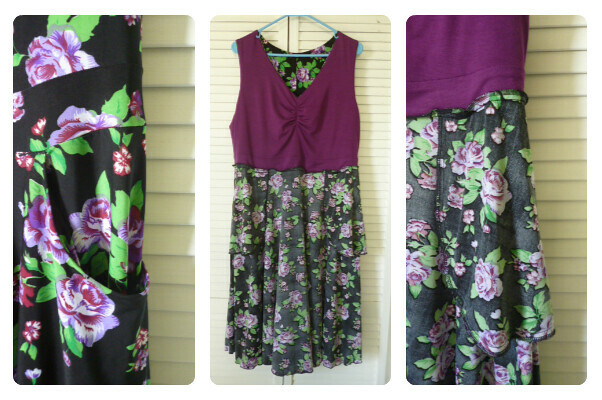 5) Wait, did I mention that it’s a HALF CIRCLE SKIRT?! Easily the most flattering skirt design on ALL bodies. I am yet to see a lady who didn’t look awesome in a circle skirt, be it full, half or quarter. For this test, I added 5 inches to the hem to make it a more midi length, as I find that length to be more my style. 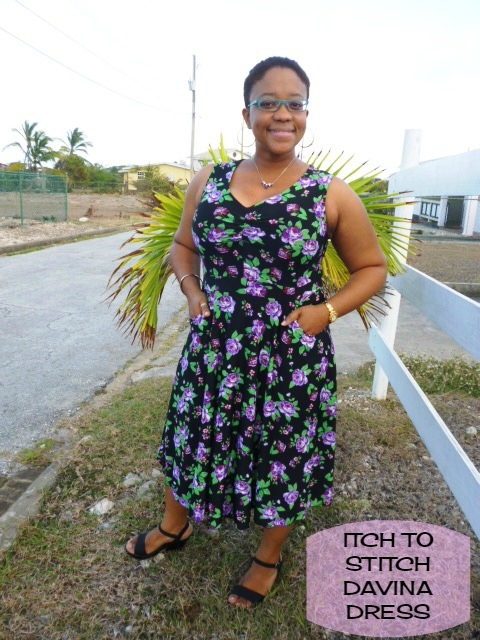 6) The pattern has been drafted to fit at your natural waist, and comes with a waistband. Kennis even has centre back seams on the bodice and skirt for those who may need to do a sway back adjustment. Honestly, I was thoroughly surprised that the pattern fit exactly where I wanted it to on my torso and that I didn’t need to do this adjustment. Normally, I have to be lowering waistlines to accommodate my bust and fixing the sway back. So this is a definite WIN, Kennis! Just take a look at the simple beauty in this pattern by checking the other test versions of Davina and you can see them all on Kennis’ blog. The Davina Dress was officially released today and you can purchase it here. 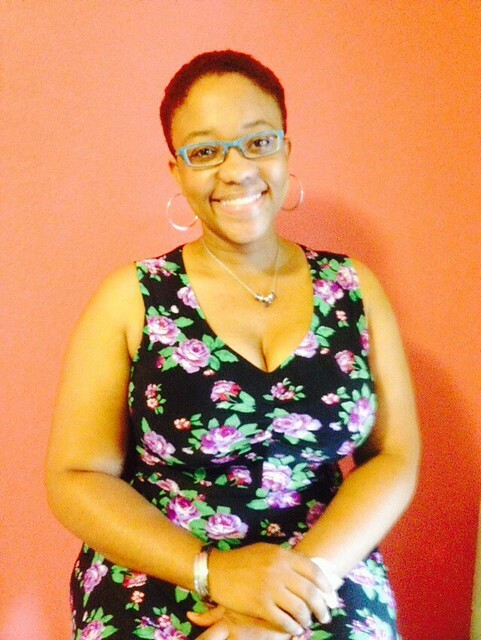 Such a detailed review and the floral looks so great on you!! So that means you have black knit somewhere in that impressive fabric stash? When to pass for it?